To learn more about creating products by importing information from Excel, please refer to this article. Select a Showroom and go to the Products page. Then click on the "Create Product" button. Note: If you don't see this button, your permissions may be limited in this Showroom. Please contact your Showroom Owner to enable the "Edit Products" permission. See Edit Showroom Team Settings and Permissions for more information. The product window will appear with Product Info on the left and the Media Bin on the right. 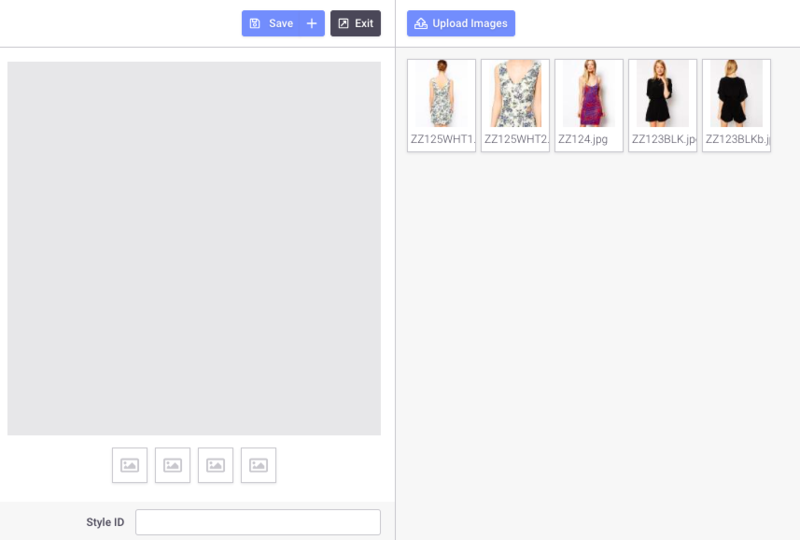 Click "Upload Images" to upload your product photos to the Media Bin. More info in this article. Once your images are uploaded, click each image to move it to the left (and add to the product). You can attach more images by clicking on them. 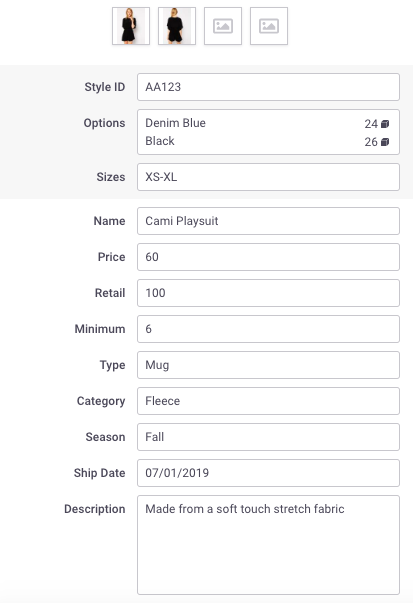 When you click into the product information fields at the top, a panel will pop up for you to enter a Style ID, Option Code, and Sizes for your new product. For more detailed information, see Style ID, Option Code and Size (SOS). Complete the product information fields for your new product below. See Product Information Fields for more detailed descriptions of each field. 5) Product info will automatically be saved when when you enter it. Voila, you've created your first product on Brandboom! 6) To build your next product, click on the Save & Create button.